Whether you’re asking attendees to view a new product, learn about a new company policy, or make a donation, never forget that you’re also asking for their time and attention. If you’ve ever sat through an excruciatingly boring sales conference or been bombarded with bad sales pitches at a tradeshow, you know that a poorly planned event can be worse than ineffective, it can leave attendees feeling like you wasted their time. When TalkingTree Creative stages an event, we want attendees to not just be entertained and educated, but to leave with an experience they will never forget. No matter the size, no matter the theme, no matter the logistics required, we have the skills and expertise to bring every detail together in harmony and deliver an event that accomplishes your goals and conveys your intended message. TalkingTree Creative, located in the Baltimore-Washington corridor, stages events for clients in the greater Mid-Atlantic region, as well as national companies who want to execute events anywhere in the country. From tradeshows and sales conferences to product roll outs and grand openings, every event should offer an experience and convey a message based on the goals you want to accomplish. Designing and executing an event that captivates an audience and tells an essential story is about more than just the creative, it’s about the strategy behind the creative. 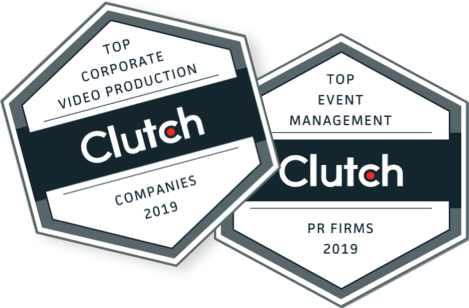 We work closely with your team and follow our unique Strategic Creative approach to get to the core goals of your event and craft an experience around accomplishing those goals. We begin with your audience, and gain an understanding of what motivates them to take the desired action, from purchasing a product to renewing their membership. From there, we craft the theme of your event and develop a story and an environment that conveys your message to the audience, using our full scope of capabilities.